Silicone rubber is a new type of polymer elastomer with excellent resistance (high temperature: 250 to 300 ℃ and low temperature: -40 to 60 ℃). Silicone rubber has good physiological stability and is able to withstand repeated harsh and disinfection conditions. Besides, it has great performances in resisting ozone, UV and radiation. Special silicone rubber with oil resistance characteristic such as fluorosilicone rubber. It merely changes even facing moisture or temperature rise. Silicone rubber still remains insulative even being burned into the generated silica caused by short-circuit combustion which makes sure normal electrical equipment work. As the silicone rubber play an important role in solving the supporting equipment needs of many national defence and civilian industries. 1. Ship-building industry: car brakes on the car, bowls, hose, seal ring, the shaft seal of the exhaust system, spark plug sets, oil seals and so on. 2. Telecommunications industry: high-pressure caps in televisions and oscilloscopes, potentiometer seals and insulation sleeves, telephone surface conductive rubber sheet, keyboard switch, varistor, etc. 3. Instrumentation industry: instrument with heating film, far infrared heater door seal, strip, all kinds of silicone rubber lead wire and heating lines. 4. Aviation Industry: hydraulic oil system with pump seals, all kinds of flame - retardant silicone rubber pieces, sealing ring for oxygen supply system and valves and so on. 5. Silicone tubing medical grade: various hoses. CJan - silicone hose company insists on technical development, continuous product innovation to make our products to meet various industry’s international standard. 1. Heat resistance: silicone hose has much better heat resistance than hose made from conventional rubber and can be used almost always at 150 ° C without performance change. Silicone tubing can be used continuously at 200 ° C for 10,000 hours and at 350 ° C for a period of time. 2. Cold resistance: Silicone hoses still have good flexibility at -60 ℃, Some flexible silicone hose made from special formula silicone rubber material can also withstand very low temperature. 3. Weatherability: Ordinary rubber hose will degrade rapidly under the action of ozone while the silicone rubber hose is free from ozone function. 4. Electrical performance: silicone rubber has a high resistivity and its resistance remains stable over a wide temperature and frequency range. 5. Thermal conductivity: when adding some thermal filler, silicone rubber will have thermal conductivity. 6. Radiation: the silicone-containing silicone hose pipe has greatly improved the radiation resistance. 7. Flammability: silicone rubber itself is flammable, but adding a small amount of flame retardant, it will have a flame retardant and self-extinguishing. 8. Hydrolysis resistance: since the silicone rubber is hydrophobic, silicone rubber tubing can be used for a long time in hot water at 100 ° C and in hot steam at 200 ° C or lower. CJan - silicone hose manufacturer offers reliable silicone tubing food grade. Various food grade silicone tubing/hoses are available. It is a well-proven fact that silicone hoses are stronger, tougher and more flexible than ordinary rubber hoses. You will find all the rubber hoses have been replaced with silicone products. 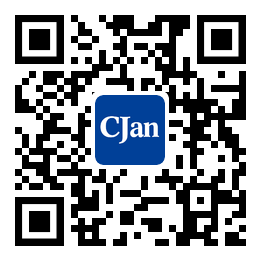 CJan is committed to supplying high-quality braided silicone tubing, food grade tubing.